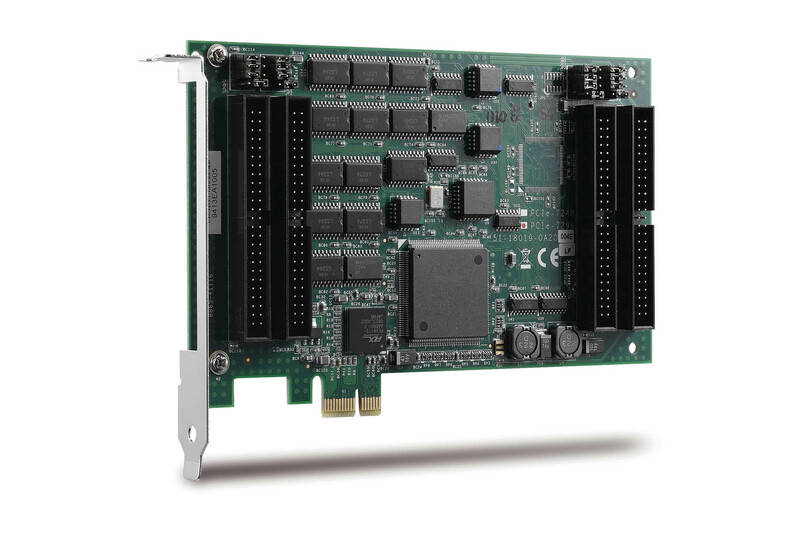 ADLINK"s PCIe-7248/7296 are high-density parallel digital I/O boards with 96/48 I/O channels. The header connectors are fully compatible with industry Opto-22 standard. Thus, PCIe-7248/7296 can utilize the Opto-22 external devices. 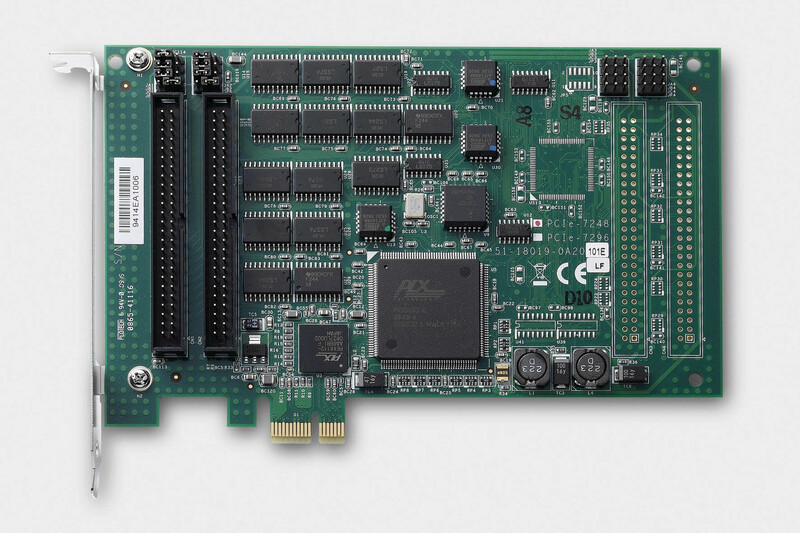 The PCIe-7248/7296 devices emulate mode 0 of the industry standard 8255 programmable peripheral interface (PPI) chips. 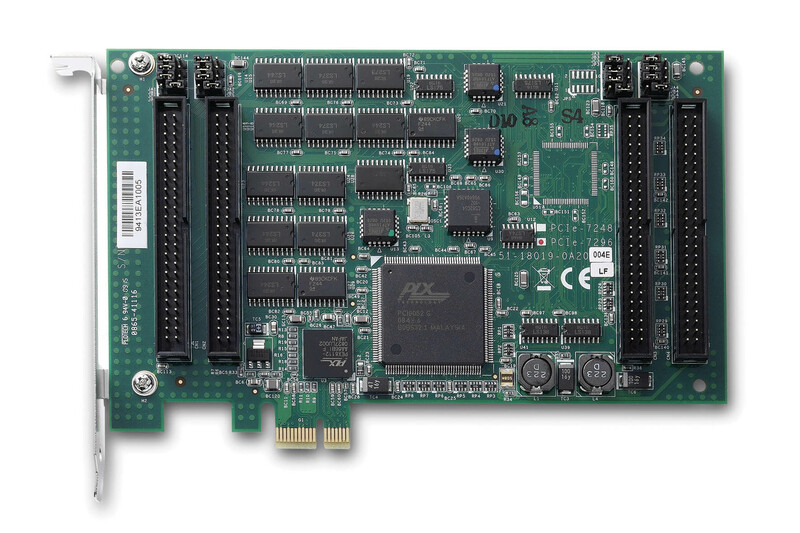 The PCIe-7248/7296 provides 4/2 PPI chips respectively. Each PPI offers three 8-bit ports: Port A, Port B and Port C. The Port C is divided into 2 nibble-wide (4-bit) ports. The PCIe-7248/7296 devices have programmable timer/counters. One 16-bit counter is available for event counting, while the other 32-bit timer is available for timed interrupt generation. 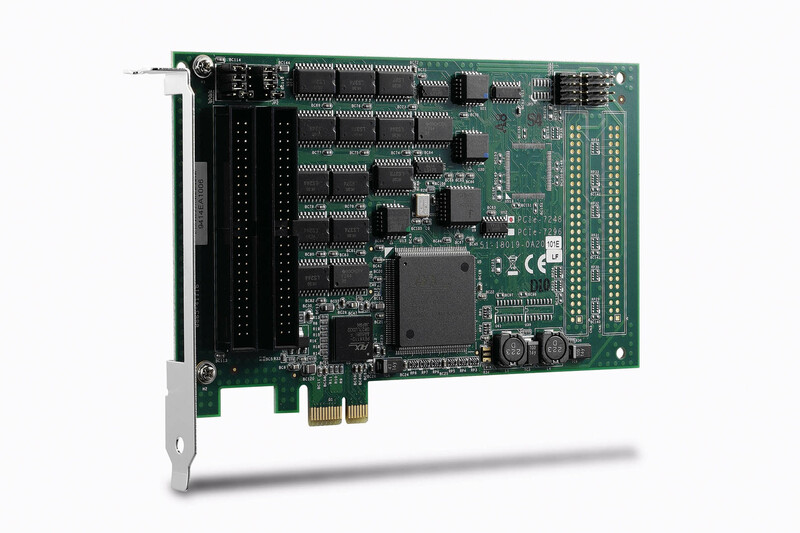 The PCIe-7248/7296 devices provide multiple programmable interrupt sources from DIO channels, as well as the output of the timer.